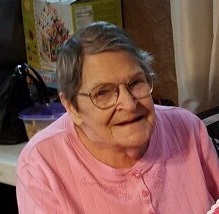 Norma M. Branham, 80, of Huntington, IN, passed away on Wednesday, March 20, 2019, at Parkview Regional Center, Fort Wayne, IN. Mrs. Branham was born on February 22, 1939, to Lloyd E. and Cleo (Jackson) Schoeff in Huntington, IN. Her parents preceded her in death. Survivors include one son, Robert Huss, Huntington, IN; two daughters, Lori Brennan, Huntington, IN, Constance (Wesley) Nuttle, Fort Wayne, IN; one step-sister, Rose Mary McSpadden, Huntington, IN; sister-in-law, Shirley Schoeff, Marion, IN; 6 grandchildren, Ray (Sara) Luh, Cynthia Reynolds, Ashley (Ryan) Gorman, Natasha Bird, Brayden (Alexis) Brennan, Skyler Reichard and 12 great grandchildren.